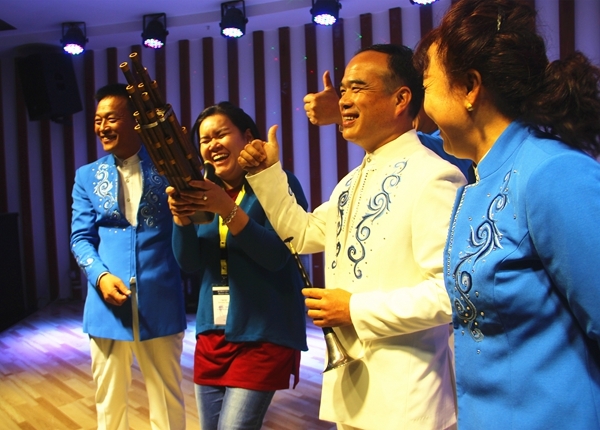 A group of reporters from the world’s major media organizations got an opportunity to experience drum music of southeastern Shandong’s national intangible cultural heritage, during a tour in Jiaxiang county, Shandong province on Oct 20. The reporters were fascinated by the refreshing and uplifting classic Bai Niao Chao Feng (Song of the Phoenix) staged by a local orchestra. 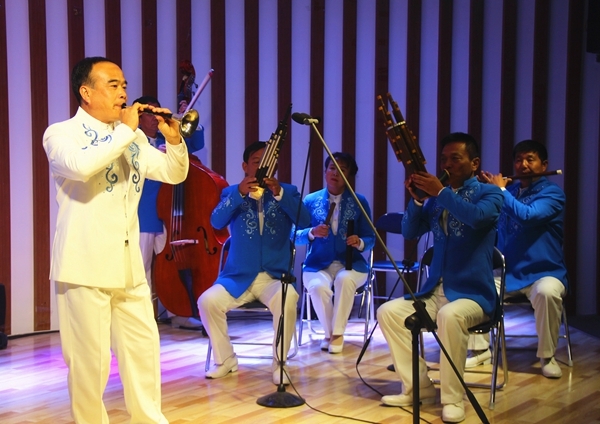 Liang Haitao, curator of the Jiaxiang intangible cultural heritage exhibition hall, introduced that the drum music of southeastern Shandong is an important genre of music in the province. 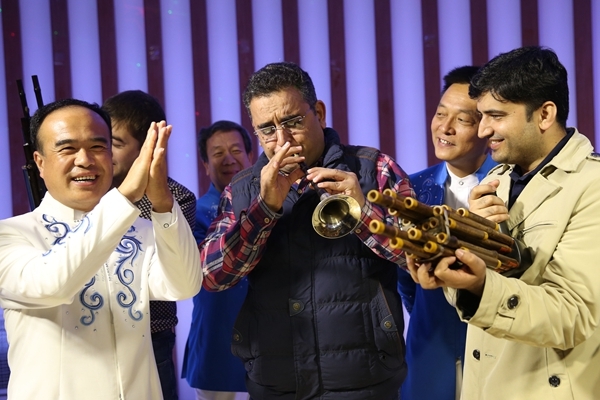 It is a folk art form that features traditional suona(double-reeded horn) as its main instrument and Jiaxiang county is one of the main areas where the music is found. According to historical records, the Wushi Mausoleums in the Han Dynasty (206 BC – 220 AD) was the site where musical performances were staged with instruments such as the flute and horn drum, added Liang. The main instruments of the drum music are wind instruments incorporating the suona, flute, sheng and pipe, playing the main melody, and percussion instruments including the big drum, bangzi, wooden fish and bells to complete the rhythm of the music. According to Liang, in 1996, Jiaxiang county was named by the Ministry of Culture as the hometown of China’s folk art suona. In 2006, the drum music was listed as the first batch of the national intangible cultural heritage representative works.